A nice feature for a future Twiddler model would be some kind of aid for mounting it in a bracket. IMO for desktop use it's a big plus to have it ready to go and not needing to be picked up. I'm betting it would not be cost-effective to sell a mounting bracket, so DIY it is. That's fine but perhaps the Twiddler itself could be designed with this in mind. The best thing I've thought of is to put a hole or two in the bottom, so that the Twiddler could be slid onto a dowel or two, and of course slid back off again at any time. There may be something better than this. Some kind of adjustment to the shape, which would be easy to build a matching bracket for. @paul Great feedback! Where do you see the bracket being mounted? Well, I clamped mine to the edge of my desk so that the Twiddler was supported at desk level beside me. It lasted about a day before I whacked it and knocked the upright off, so I'm thinking that a smarter design would simply sit on the desk, allowing it to slide a bit when it inevitably gets hit. The problem there is that clearance for the plug will require it to be raised off the desk. I may just stick with clamping to the edge, but come up with a more rugged design. With USB connector at the bottom instead of the 4 contacts in the picture. The basic form of that thing is what I'd picture, but I think the details would need to be different. It looks like more of a cradle than a stand so I'd think it would be easy to knock the Twiddler out when you really meant to grasp it. Although a USB plug would give it a firmer grip, but I don't think it would be good for the plug if it were the primary stabilizer. I'd think the base would need to have a greater diameter or it would be easy to knock over when reaching for it (picture a coaster glued to the bottom of it). I like the idea! I might use mine more if it was sitting on my desk ready for use. There are 2 slots where the strap can be attached (one for righties and one for lefties I guess), and a velcro patch on the bottom. 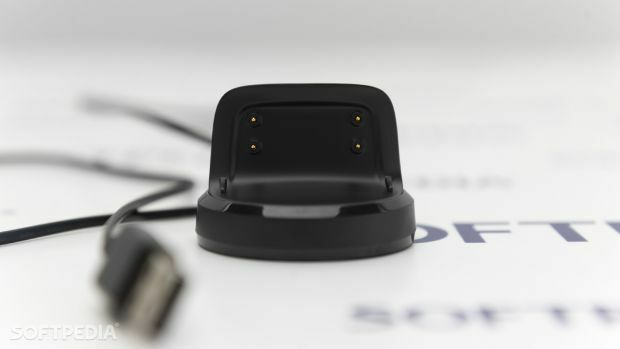 It might be a pain to completely remove the strap when you want to mount it on a desk, but what about taking advantage of the unused slot for the mounting? You could also use the velcro (leave the strap hanging from it's slot while mounted). Would that be sturdy enough for what you're after? I imagine with the velcro attachment it might be a little mushy. I don't like to undo the velcro for fear it will wear more quickly and not grip as well. When I first got the Twiddler I adjusted it quite a bit until I finally got it dialed in, and it seemed to be headed that way. Plus, now that I've got the strap how I like it, I wouldn't want to have to undo it and play with it all the time. Using the unused slot's an interesting idea though. I'll have to think about how that might work. @paul the "set and forget" method is the best way to use the strap. It's hard in the beginning to achieve this as you are always tweaking and fine tuning but, once you get it perfect, don't touch it any more. With the strap attached a Twiddler can be hung on almost any kind of hook. On the other hand it's such a portable item it's a shame to leave it at home. I keep mine in a spectacle case along with a Bluetooth dongle. Be sure to use a hard case to avoid damage!